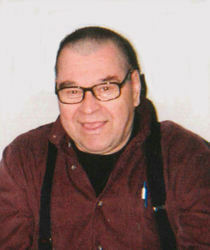 Obituary for Lionel George Shrum | Westlock Funeral Home & Crematorium Ltd. He is survived by his son, David (Dorota), daughter, Debbie; brother, Albert (Marie), sister-in-law, Stella; nephews, Steven (Lisa), Jeffrey (Karin), Don (Karen), Gene (April); longtime friend, Edna and Phillip, as well as numerous friends. Lionel was predeceased by his parents, Joseph and Bertha, and brothers, Lawrence Edward, and John.